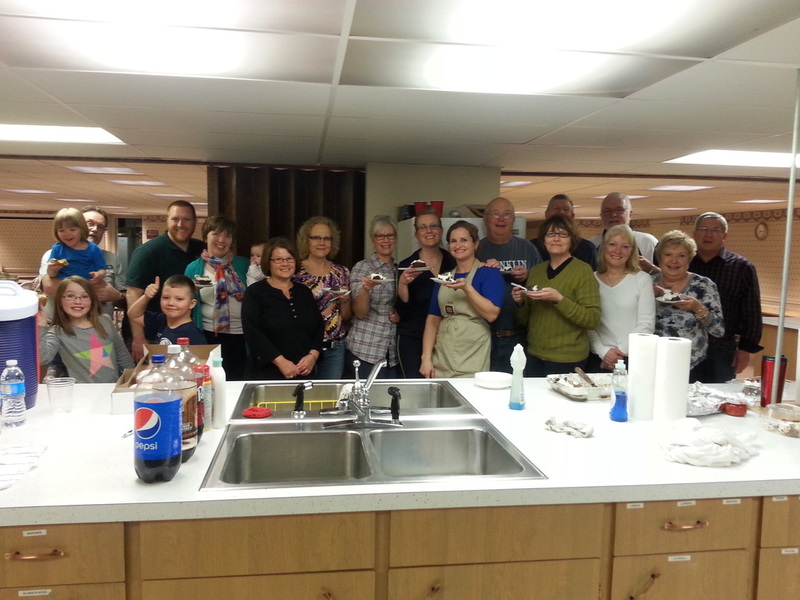 Each year, following our fundraising Pork Loin Dinner, PW celebrates another successful dinner with a cake "toast." supplies to the Fairbury Food Pantry and providing supplies to local schools at the beginning of the year. PW also supports Church World Service by providing cleaning buckets and hygiene kits that are given to victims of natural disasters around the world as well as many other service projects throughout the year.